Find the best NCAA gift for your college sports fan from our selection here. 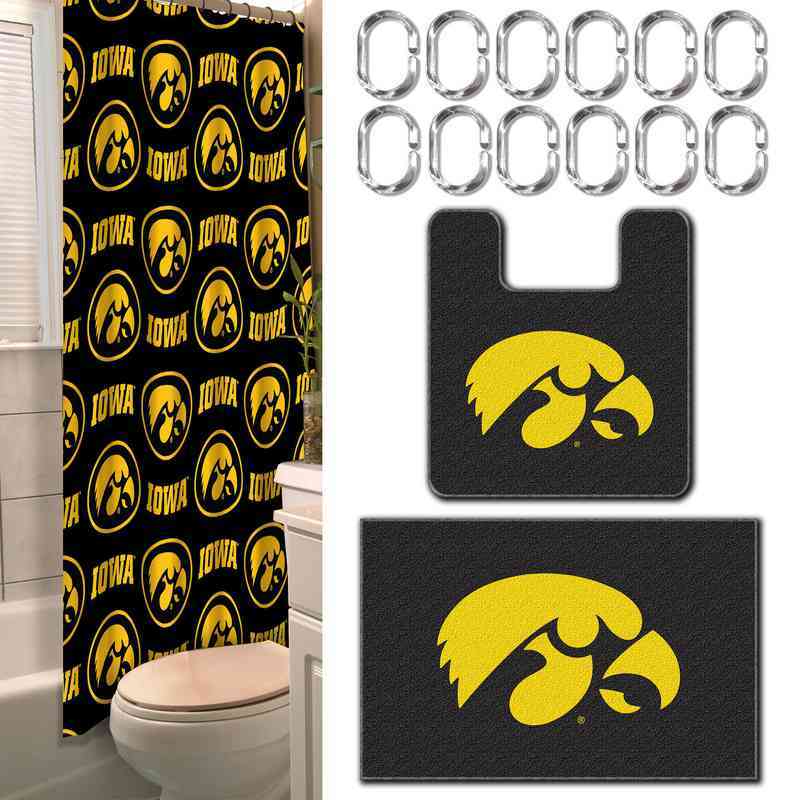 Cheer on your Iowa Hawkeyes from the comfort of your own bathroom with this 15-piece bathroom set. Made with this ultimate Hawkeyes fans in mind, this set features the school's bold colors and logo. This set comes with 12 shower curtain rings, a 72" x 72" shower curtain, an 18" x 18" contour bath mat and a 17.5" x 28" rectangular bath mat with non-skid backing. Manufacturer direct from a trusted supplier.